We accept same-day emergency appointments. Call us today at (574) 367-7000. If you’ve accidentally injured your tooth or are suffering from a painful toothache, you’ll likely ask yourself, “Where can I receive emergency dental care near me?” Getting the treatment you need from our skilled emergency dentists in South Bend is key when it comes to relieving your symptoms and stopping further damage to your dental health. Is It Possible to Find an Emergency Dental Office Near Me? When experiencing a dental emergency, it’s important to see an emergency dentist as soon as possible. Waiting to see if the dental problem resolves itself can lead to further damage – and in some cases, higher treatment costs. Our skilled emergency dentists in South Bend provide comprehensive urgent dental care during regular operating hours. Our emergency dentists aim to quickly diagnose the problem, alleviate your pain, and prevent the issue from happening again. Call our office to make an appointment for emergency dental care, and one of our dentists will see you as quickly as possible. Should I Call an Emergency Dentist? I’m not sure if my situation requires emergency dental care. When is it time to search for an emergency dental office near me? An accidental broken or fractured tooth should be evaluated by an emergency dentist as soon as possible. We recommend covering any sharp edges of broken or fractured teeth with wax to prevent them from scratching other areas of your mouth. Call us for further instructions. If you’ve knocked out a tooth by mistake, it’s important not to panic. Knocked-out teeth can sometimes be re-implanted if the patient takes action quickly. Locate as many fragments as you can, then rinse them with warm water. Call our emergency dental office immediately to book an appointment. Persistent oral pain or pressure can be caused by a number of dental health issues. It’s important not to ignore a toothache – schedule an appointment with our emergency dentists for treatment. Occasional tooth sensitivity may not be cause for concern. However, if a tooth rapidly becomes very sore or painful, it could be injured or infected. Call our office if you’re suffering from extreme tooth sensitivity. When tooth decay is left untreated, cavities can form, exposing the tooth’s root. Cavities can be quite painful if left unattended and can even lead to further tooth damage. 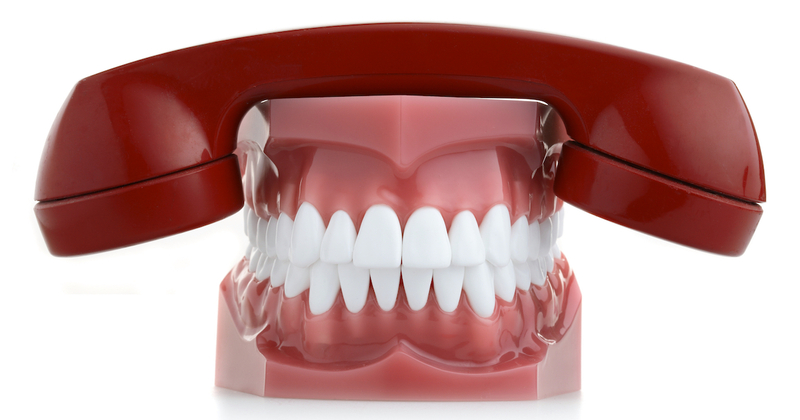 Call our office right away if you suspect a cavity. A painful oral infection, an abscessed tooth can lead to a host of symptoms. You may experience a severe toothache, swollen neck glands, or open sores around the gums. This condition can become severe if left untreated, so call us immediately if you suspect an abscessed tooth. If you’ve dislodged or totally lost a tooth filling, the affected tooth is more susceptible to decay or injury. Visit our emergency dentists for a replacement for your lost or loose fillings. If you have broken crowns or lost restorations, you may feel self-conscious due to aesthetic issues with your smile. However, broken crowns and lost restorations can also leave the affected area vulnerable to decay. Give us a call for a replacement that restores your brilliant smile. It’s not uncommon for braces wearers to experience orthodontic pain or injuries. Our emergency dentists can help stabilize metal wires and brackets, allowing you to wear your braces comfortably. Nighttime bruxism can seriously damage your tooth enamel over time. When your tooth enamel becomes painful, see our dentists for reinforcement or a night guard. The sinuses and the teeth share a complex relationship. If you’re suffering from persistent sinus pain that’s accompanied by a toothache, you may have an oral infection or obstructed wisdom tooth. Call our office to rule out any dental-related causes of sinus pressure. My dental symptoms are very severe. I’m not sure whether I should search for emergency dental care near me or call 911. Many patients come tp our emergency dental office with questions regarding the cost of treatment. Typically, more complex dental emergencies will face higher costs than more straightforward oral health problems. Your total cost will depend on all the procedures and follow-up visits required to resolve your symptoms. While emergency dental care without insurance can sometimes place a strain on your budget, it’s important to remember that you have many financing options available. Our dentists accept most major insurance plans and credit cards, and we also provide discounted emergency dental services through DentRite®. A dental savings plan, DentRite® is simple to join and can save you hundreds on urgent dental care. Give our office a call today to learn more.